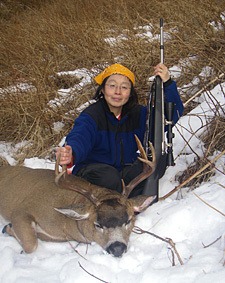 Sitka Black-tailed deer are found in Game Management Units 1 – 6 and in Unit 8. Harvest tickets are required to hunt deer. Season dates and bag limits vary between and within game management units so be sure to check the current hunting regulations for your specific hunt. The map below highlights Game Management Units where Sitka Black-tailed deer are found. Click on any of the highlighted GMUs for deer hunting opportunities, or visit the Hunting Maps By Species section.